CALGARY — Calgary’s Ukrainian Catholic community has been preparing for some time for the historic visit of His Beatitude Sviatoslav Shevchuk, Patriarch and head of the Ukrainian Greek Catholic Church across the world. Just how big of a deal is it? “Sunday, in my opening remarks before my homily, I said ‘this will be one of the biggest events for us since Moses parted the Red Sea’,” jokes Father Mark Bayrock of St. Stephen Protomartyr Parish in the city. This weekend, the Calgary Ukrainian Catholic community celebrates its Centennial in a big fashion with the historic visit. Shevchuk is the leader of six million people around the world. He became the Patriarch at the age of 40 in early 2011. The arrival of Ukrainians to Calgary began in 1893 and by 1912, the first community of Ukrainian Greek Catholics was officially established and named St. Stephen Parish. A small church was built by the community and dedicated to the patronage of St. Stephen, the first martyr. For over 40 years, the church served as the spiritual and cultural centre for many Ukrainian immigrants and new Canadians. By 1959 a new church was completed and it was dedicated to the Assumption of the Blessed Virgin Mary. In 1967, a second parish was established and took the name St. Stephen Protomartyr. Special weekend events in Calgary include a Pontifical Divine Liturgy at Assumption Saturday morning; a Centenary Banquet at the Red and White Club Saturday afternoon; and a Pontifical Divine Liturgy at St. Stephen Sunday morning followed by an informal reception in the parish hall. 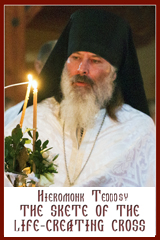 The Patriarch will visit Edmonton June 6-10. “Being the man and the leader that he is, he has a great, great interest in unity. By unity, I mean looking at the common Christian witness and experience in our way of life here and in every country and place he visits,” says Bayrock. Father Serhiy Harahuc, of Assumption, says there has been an excitement in the air in anticipation of this visit. “But even more than that we are filled with joy and gladness that we will have the celebration of our 100th anniversary with our Patriarch, the father and the head of our church,” he says. “The meaning of word Patriarch is the one who is in charge of a family or of a tribe even. This is why we call him the father. He is the head of our church family and we also call him the head. 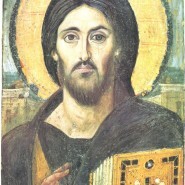 Christ said that we are his body so he’s there to direct us and to be the driving force of the church.